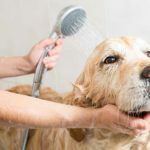 Most dog parents don’t recognize the health benefits of regular dog grooming and tend to practice it only occasionally. And many pet parents don’t realize grooming involves more than just brushing and baths. Go beyond brushing and bathing and use this handy dog grooming guide to know what you need to do and when you need to do it to keep your pup clean and healthy. Regular paw, nail, ear, and teeth care can prolong a dog’s life and are also parts of dog grooming. Keeping your dog clean is every owner’s responsibility and it’s not a chore to be relegated to only doing when you are planning to have company. Struggling over whether to use a professional groomer or take care of your dog yourself? 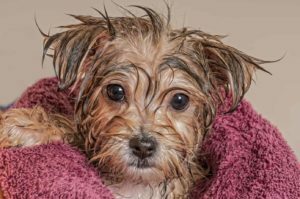 This handy dog grooming guide compiled by PawPawLover.com, offers helpful recommendations and advice. For example, most dogs need baths at least once a month. But really filthy and stinky dogs need weekly baths. Owners of long-haired dogs and those with double or curly coats have their work cut out for them since their pups need to be brushed regularly. While short-haired dogs are easier to maintain and need only occasional brushing. Since dogs don’t have fancy shoes to protect their feet, you will have to care for your pup’s paws. Doggy boots and moisturizers help protect paws and keep them ready for walking. Nail trimming is the most dreaded grooming activity for most owners and most dogs. But once you teach your pup to associate nail clipping with positive things like treats, this will become a fun activity for both of you. 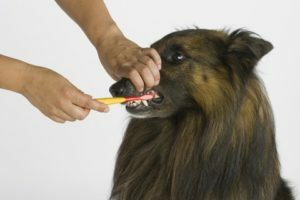 We know that you heard that brushing your dog’s teeth three times a week is enough, but it’s not. Treat your pup’s teeth like you treat your own and brush them every day. Your dog’s ears also need regular cleaning in order to prevent ear infections. So talk to your vet and get the right cleaning solution so you can start taking care of your dog’s ears. Consult the handy graphic, which outlines PawPawLovers ultimate dog grooming guide, to find the key information and easy to follow instructions you need. Start taking care of your dog like a pro.